I have some plans to expand my horizons this year. I am in the process of planning and plotting. I want to try my hand at running a book tour business. Granted I have never done anything like this before, but I participate in enough. 😉 Maybe I can plan it out and become successful at it. 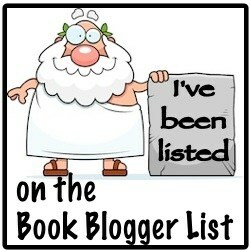 I can say I want to offer my author friends an affordable way to promote their books. This has been a fun ride so far and I just can’t wait to see what this year holds for Moohnshine’s Corner. Here’s to another year of Hump Day posts, book reviews, blog tours and blitz, cakes and exciting fun. I want to say THANK YOU!!!!! Thank you for all your support. Without you this would not be possible. I hope that when my new adventure comes to light, that you will support and participate again. Lots of love to you all! PEACE! This entry was posted in Life Happens, Uncategorized. Bookmark the permalink. Wow. Congratulations. So glad we met. Congratulations! Here’s to another year of fun filled posts and discussions! Congratulations! It is my second today! Wonder if there’s cake?? Thank you for your support. Without you blogging peeps this would not be possible.